With so many bloggers and blogs on the internet, it’s a very competitive market and can make succeeding very difficult. With blogs, one of the best things that you can do is build a good sense of community and develop the relationship you have with your readers. If you give them something special and which is different from the regular blogs out there, they will keep returning and will remain interested. Rather than trying to reach a wide audience, think about the ways you can reach a more targeted audience. This will ensure that the people you do reach are very interested in what you have to say and the topics that you are covering. 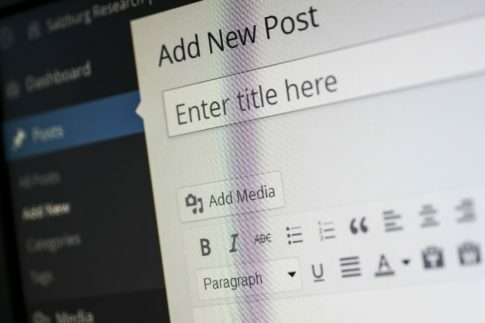 While you might think a blog which is very niche will get less interest, it will get high quality interest from people who are serious about the particular topic. Rather than constantly giving your readers new posts and text to read, create different ways for them to engage with your posts. Invite debate and open discussion by having a comments section or polls half way through the posts to get some feedback about what people think. Another good way to get people involved is to create a quiz which people can take. This can either be a survey for your blog, or it can be a quiz to test their knowledge on a particular subject. Since people love finding out how well they have done, especially when compared to other results, it’s a great way to keep people on your page for longer too. Writing in the first person doesn’t make you sound unprofessional, and when you’re running a blog, it’s a much better idea to be personal than to be formal and serious. Let your readers know about your personal experiences, both good and bad, and make jokes along the way too so that you seem real and relatable. Many bloggers don’t like to talk about the times they failed in the industry, since it might cause them to lose credibility or make it seem like they don’t know what they’re doing. However, talking about your own faults, mistakes and bad experiences will give confidence to your readers and will make them see you as an equal to them who had to start somewhere too.